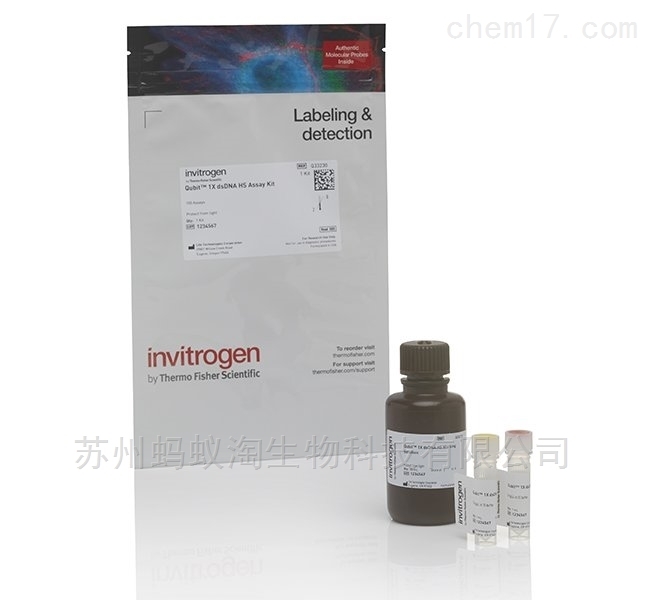 Thermo品牌Q33211/Q33212试剂区别；The qubit Protein Assay Kit is designed specifically for use with the qubit Fluorometer. The qubit Protein Assay Kit is designed specifically for use with the qubit Fluorometer. Using between 1 and 20 µl of your sample, this assay can quantitate samples ranging from 12.5 µg⁄ml to 5 mg⁄ml and exhibits low protein to protein variation. The assay is highly selective for proteins and is designed to be accurate in the presence of reducing reagents, but not in the presence of a large amount of detergent. Common contaminants, such as reducing reagents (DTT, β-mercaptoethanol), salts, free nucleotides, amino acids, solvents, or DNA, but not detergents, are well tolerated in the assay. Slight protocol modifications are required for other contaminants. The kit provides concentrated assay reagent, dilution buffer, and pre-diluted BSA standards. Simply dilute the reagent using the buffer provided, add your sample (any volume between 1 µL and 20 µL is acceptable), and read the concentration. Which product to choose for fluorometric protein quantitation?